There are few games in the PlayStation VR launch lineup as exciting as Batman Arkham VR. The franchise has been highly successful over the years, everyone loves The Dark Knight, and you get to actually be Batman. And yes, you will definitely say “I am Batman” and for once feel like you mean it. As a young, short-statured Bruce Wayne, you’re introduced to the corrupt world of Gotham from a knee-high perspective. Bruce horrifically witnesses his parents being gunned down in a dark alley right before his – and in this case, your – very eyes. The assailant then focuses his attention on Bruce, slowly walking toward him and eventually leaning over him, getting in his face to threaten him. You can almost ‘feel’ your internal disgust increase as the perp inches closer with his ugly mug. The introduction scene is extremely well done and introduces you to both Batman lore and the VR experience. Batman Arkham VR then fast-forwards to the Wayne Manor, as Alfred alerts Bruce to a situation. Something is up with Robin and Nightwing, and it’s up to Batman to save the day. A short playable scene with a piano occurs, and Batman is slowly lowered into the Batcave through a secret elevator in the floor. The sensation of being lowered is overwhelming, and serves to show just how effective the PSVR is at immersing you in the world and tricking your perception of reality. At the bottom of the elevator, you put on the iconic Batman cowl, gauntlets, and the Batsuit. And let me tell you – in that moment, you truly feel like you are Batman. I repeat, for a moment, you are Batman. I cannot even begin to explain how cool this is, even for someone that isn’t overly infatuated with comic book heroes. For someone that is, this is a lifelong dream come true. This alone is worth the cost of Batman Arkham VR for some, and is that epic that it serves to justify the review score alone. But unfortunately, the rest of the experience is incredibly lackluster from there on out. Furthermore, using a DualShock 4 controller just doesn’t provide the same tactile “feel” the PlayStation Move does – so the experience itself differs significantly depending on what peripherals you own. So much so, I mentioned the PlayStation Move controllers are borderline necessary to the PSVR hardware experience in my hardware review. The rest of the story is aimed at investigating a crime scene by piecing together forensic evidence gathered, and then following up on the leads you discover through the investigation. The narrative is linear, and offers very little in the way of exploration or activities to put Batman through the paces. A mini-game exists where you can hit targets with a Batarang, and the PlayStation Move controller tracks your precise movements perfectly to hit the moving targets. 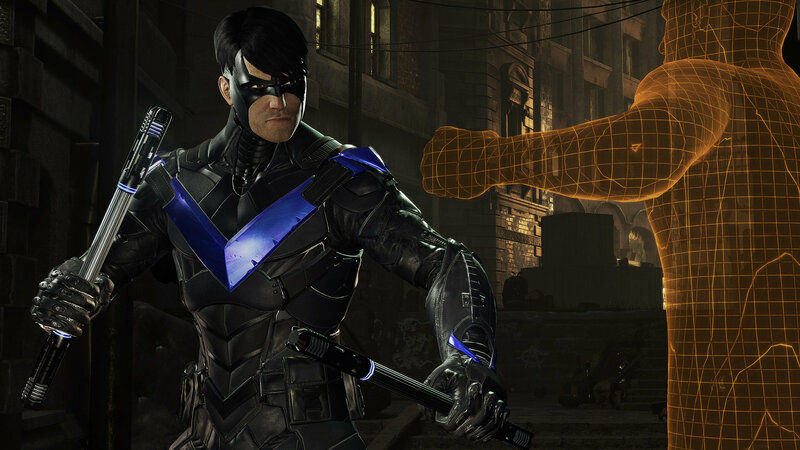 Batman has two other tools, a forensic scanner, and a grappling gun that can be used to pull Batman to different areas or to pull out of reach items closer to him. All other movement is through your hands. There is no walking, only a fast travel button that instantly zooms Batman to a nearby location – often only a few feet away. If you thought you’d have the same freedom to glide across the city rooftops, think again. Movement is extremely limited. I cannot enough stress the importance of properly calibrating your PSVR and PlayStation Move setup, otherwise, Batman’s hands will spin out of control or become unusable. This is user error, so I’m not knocking the game for it, but it was worth pointing out as the experience can be frustrating when Batman’s hands aren’t doing what you need them to do. The game concludes with some trickery from the Joker after about a solid hour of gameplay. This opens up some optional Riddler secrets, but you may not feel compelled to find them all. Only a handful required the same clever thinking to locate, meaning there is little reward for even investing time unlocking these unless you’re a completionist. Those that were clever, were lining up an item that had a green dot on it to a green question mark located elsewhere in the stage. But because each area is so confided, these are easily discovered. Others open up a card-matching game that unlocks 3D character models and bios that are viewable back in the Batcave. 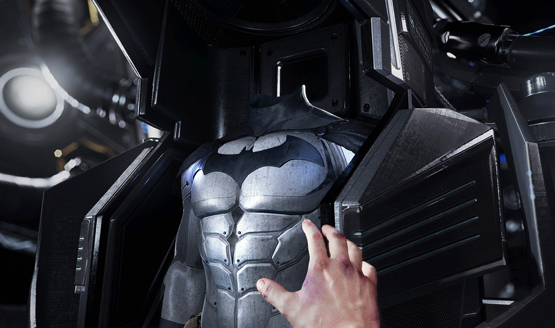 Everything about Batman Arkham VR is about putting you in the shoes of Batman. So, it’s unfortunate that those shoes don’t ever move. 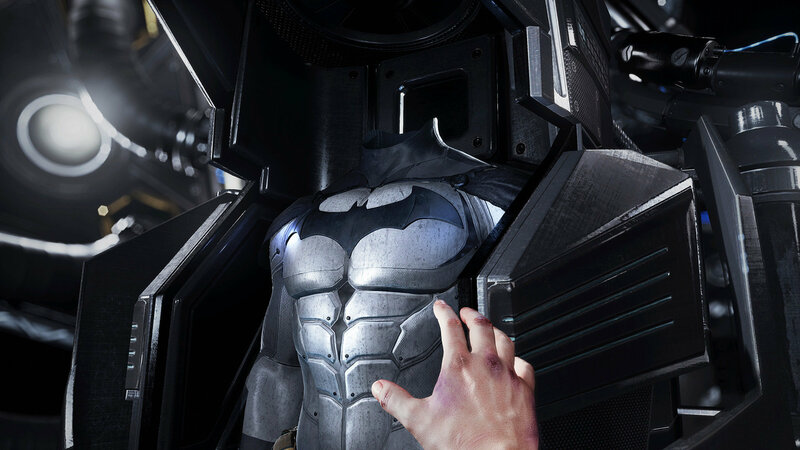 And for a character with endless depth such as Batman and Bruce Wayne, Batman Arkham VR seriously lacks the depth of a game that represents the first time gamers get to experience being Batman. The entire experience feels a lot more like a tech demo, giving gamers a glimpse into what a real Batman VR game might be like in the future. We’d recommend giving Batman Arkham a pass at its $19.99 price tag if it weren’t for how amazingly cool it feels – even if for one brief moment – to feel like you’re Batman. For die-hard Batman fans, this will be worth the price of admission alone, but for everyone else, weigh out that specific moment in your decision-making process. If that sounds like something you must experience for yourself, give Batman Arkham VR a try. If you are hoping for a great-looking tech demo to show off PSVR’s capabilities with an iconic character everyone you know will recognize, give Batman Arkham VR a try. But if you’re looking for a deep, engaging experience, Batman Arkham VR is more laughable than The Joker’s smug grin. Batman Arkham VR review code provided by publisher. For more information on scoring please see our Review Policy here.